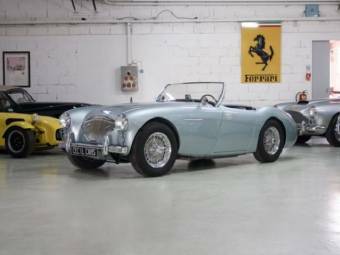 Elle possède une excellente carrosserie. 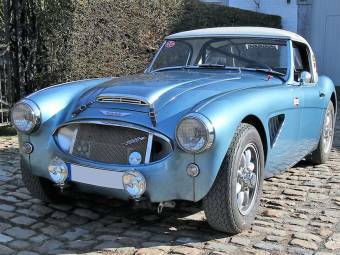 The successful rally driver Donald Healey founded his own company in 1945, the Donald Healey Motor Company to produce British racing cars. 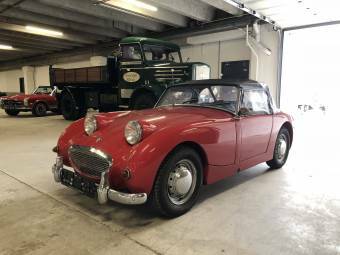 The little Austin Healey series is the epitome of British roadsters. 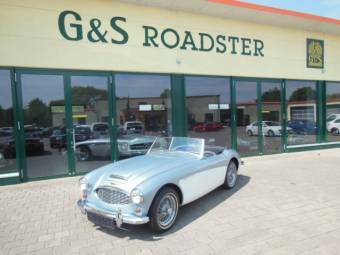 When Donald Healey designed the Healey 100 and presented it at the London Motor Show in 1952, the model received a lot of attention. 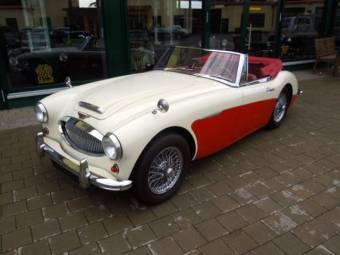 Not only the British car manufacturer showed great interest, but also the American market wanted to cooperate with Donald Healey. 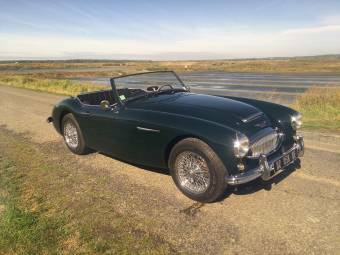 In the end, the British Motor Corporation was able to prevail. 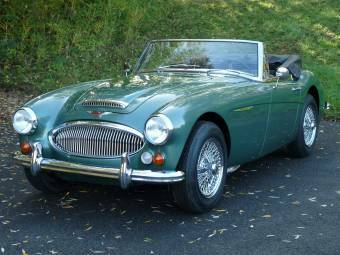 The company Austin, which belongs to the BMC, published the former Healey 100 renamed as the Austin Healey 100 in 1953. 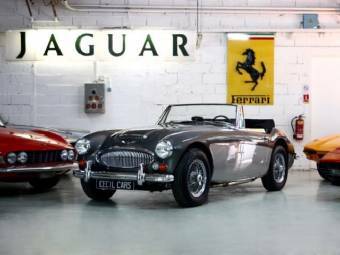 As early as 1956 the next presentation followed. 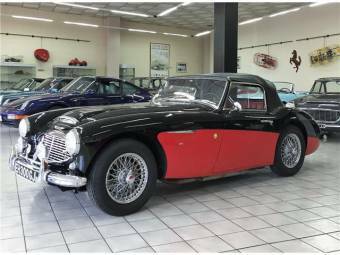 The Austin Healey 100 was replaced by the Austin Healey 100 Six, which had six cylinders, unlike its predecessor that had only four. 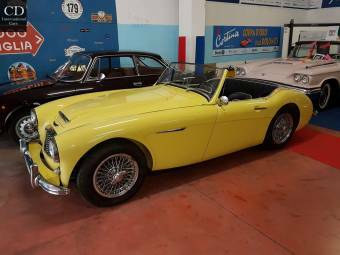 The following model of the Austin Healey 3000 differed only in size of the displacement, which rose from 2.6 to 2.9 litres. 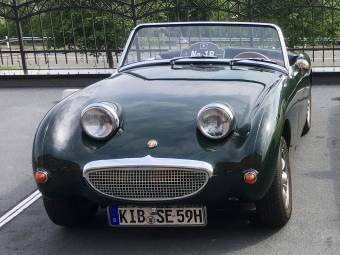 With the Austin Healey Sprite, BMC extended the series. 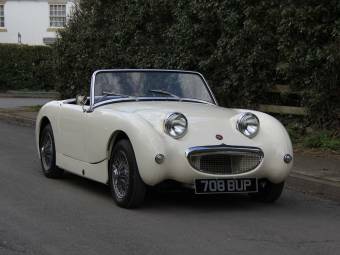 However, the Austin Healey Sprite was also the last model that was produced. 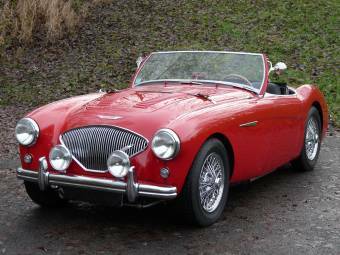 As Leyland Motors took over BMC in 1968, they decided to discontinue the production of the Austin Healey models. 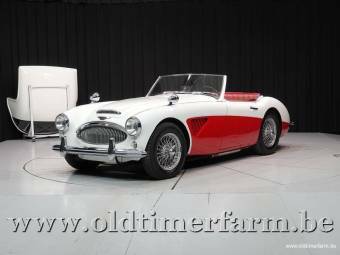 And so the production of the Austin Healey 3000 was closed down in the same year. 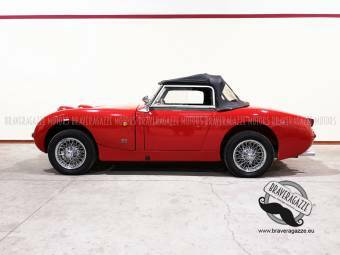 In 1971 the last Austin Healey Sprite was built.